Even when you sit and ponder for a while, it’s still a bit difficult to describe what spirituality is in your own words, but this particular definition does it justice: “The quality of being concerned with the human spirit or soul, as opposed to material or physical things.” One almost always assumes the topic is extremely personal, so it may be a bit odd to hear that some individuals actually believe that spirituality and relationships of a romantic nature can go hand in hand… but it’s possible. “The healthiest relationships are the ones that stimulate continued expansion together as a couple and apart individuals,” says Deborah Sandella, PhD, RN, author of the international best seller Goodbye Hurt & Pain, a couples therapist for 20 years, and the founder of the groundbreaking RIM Method. Sandella says when you find someone you care about so much that you want to make it right rather than be right, that’s when you know you’ve found the right person… a match made for spirituality beyond your wildest dreams. From Sandella’s experience, here are the key ways we can deepen our level of spirituality through loving another individual romantically. Learn to agree that love brought you together, but your differences are helping you grow as an individual. Couples begin to think there’s something wrong when they disagree with one another, but it’s an idealistic expectation to think you’ll always be on the same page, says Sandella. It’s when you’re open to learning about your differences that you begin to grow wiser… After all, life wants you to evolve. “Spiritually, we could say wisdom is the whole purpose for being alive, and relationships provide a fertile field for growing it,” says Sandella. So what is it about spirituality and relationships? “A romantic relationship is the richest place in your world to illuminate the blind spots you aren’t seeing about yourself,” says Sandella. Self-awareness and compassion are two important qualities for both emotional intelligence and spirituality. When you’re familiar with someone, it becomes easier to project your subconscious fears onto them… For example, if you felt abandoned as a child, it’s not hard to jump to a similar conclusion with your partner. Through discussions with your S.O., you’ll start to gain insights about yourself that you couldn’t realize when they were just thoughts in your head. Talking allows you to bring subconscious feelings and beliefs to the surface, and as you gain this great self-awareness, it’s important to own your part. What this means is that as you discover things about yourself you need to work on, do so, and continuously strive to be the best version of yourself in the process. 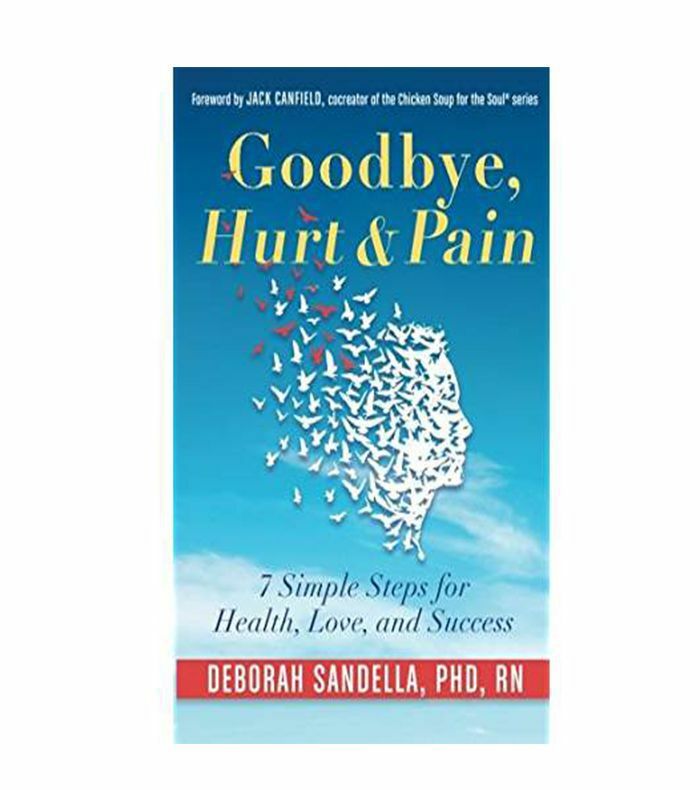 Continue learning how to evolve into the best version of yourself with Sandella’s book Goodbye, Hurt & Pain below. Tell us, do you think spirituality and relationships are intertwined? Are you in a supportive relationship that’s allowed you to expand your personal horizons? Be sure to share with us in the comments. Up next: Healthy relationships have this in common.